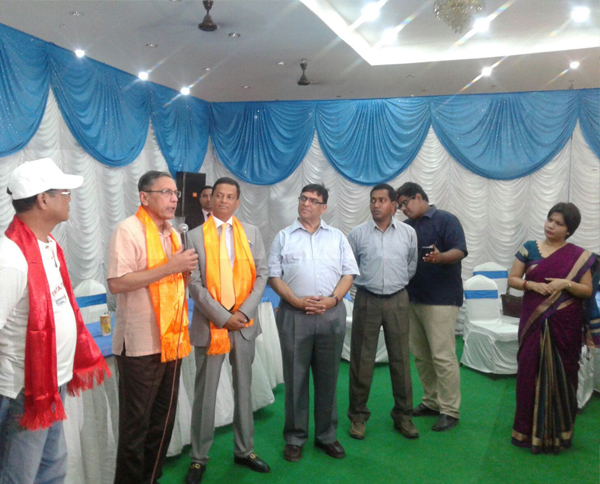 Indian Ambassador to Nepal Visited Akshaya Patra Nepal Kitchen. Ranjit Rae, the Indian Ambassador to Nepal visited the Nepal Earthquake Relief Centralised kitchen on 27 July 2015. Siddharth Rana, Managing Director of Sipradian Sahayata Sanstha was present on the occasion. Sipradian Sahayata is an NGO with a vision of spreading awareness and safety trainings on earthquake, epidemics and other natural calamities. The Ambassador was given a tour of the kitchen and explained as to how the kitchen operates. Rae addressed the Akshaya Patra team and applauded the Foundation’s efforts in providing meals to the earthquake survivors. The kitchen, which started operations on 19th June 2015, serves over 17,000 meals a day and counting.